At every talk and workshop I try out something new to see if it sticks with the audience. An image that resonated a lot was describing the Business Model Canvas as a theater with a front stage and a backstage. Mapping out a business model with a group of people is like playing a game. That's what I came to realize when my friend and leading visual thinker, Dave Gray, introduced me to his new project called Knowledge Games. Games come naturally to human beings. Playing a game is a way of exploring the world, a form of structured play, a natural learning activity that’s deeply tied to growth. Games can be fun and entertaining, but games can have practical benefits too. Objective of Play: Visualize a business model idea or an organization's current and/or future business model in order to create a shared understanding and highlight key drivers. Number of Players: 1-6 (depending on the objective). Works well individually to quickly sketch out and think through a business model idea or an interesting business portrayed in the press. To map an organization's existing and/or future business model you should work in groups. The more diverse the group of players (marketing, operations, finance, IT, etc. ), the more accurate the picture of the business model will be. Duration of Play: Anywhere between 15 minutes for individual play (napkin sketch of a business model idea), half a day (to map an organization's existing business model), and two days (to develop a future business model or start-up business model, including business case). View more documents from Alexander Osterwalder. How to Play: There are several games and variations you can play with the Business Model Canvas Poster. Here we describe the most basic game, which is the mapping of an organization's existing business model (steps 1-3), it's assessment (step 4), and the formulation of improved or potential new business models (step 5). The game can easily be adapted to the objectives of the players. A good way to start mapping your business model is by letting players begin to describe the different customer segments your organization serves. Players should put up different color sticky notes on the Canvas Poster for each type of segment. A group of customers represents a distinct segment if they have distinct needs and you offer them distinct value propositions (e.g. a newspapers serves readers and advertisers), or if they require different channels, customer relationships, or revenue streams. Subsequently, players should map out the value propositions your organization offers each customer segment. Players should use same color sticky notes for value propositions and customer segments that go together. If a value proposition targets two very different customer segments, the sticky note colors of both segments should be used. Then players should map out all the remaining building blocks of your organization's business model with sticky notes. They should always try to use the colors of the related customer segment. When the players mapped out the whole business model they can start assessing its strength and weaknesses by putting up green (strength) and red (weakness) sticky notes alongside the strong and weak elements of the mapped business model. Alternatively, sticky notes marked with a "+" and "-" can be used rather than colors. 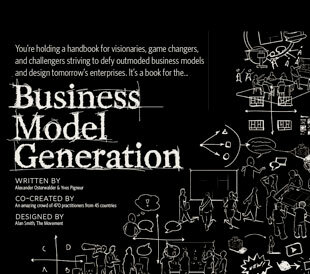 Based on the visualization of your organization's business model, which players mapped out in steps 1-4, they can now either try to improve the existing business model or generate totally new alternative business models. Ideally players use one or several additional Business Model Canvas Posters to map out improved business models or new alternatives. 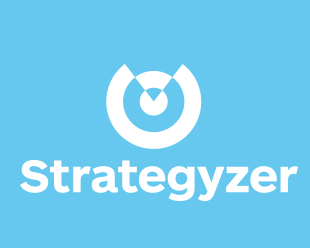 Strategy: This is a very powerful game to start discussing an organization's or a department's business model. Because the players visualize the business model together they develop a very strong shared understanding of what their business model really is about. One would think the business model is clear to most people in an organization. Yet, it is not uncommon that mapping out an organization's business model leads to very intense and deep discussions among the players to arrive at a consensus on what an organization's business model really is. The mapping of an organization's existing business model, including its strengths and weaknesses, is an essential starting point to improve the current business model and/or develop new future business models. At the very least the game leads to a refined and shared understanding of an organization's business model. At its best it helps players develop strategic directions for the future by outlining new and/or improved business models for the organization.